Milo—a boy with plenty of time on his hands and not much imagination—arrives home one afternoon to find a tollbooth standing among the mounds of toys he never plays with. 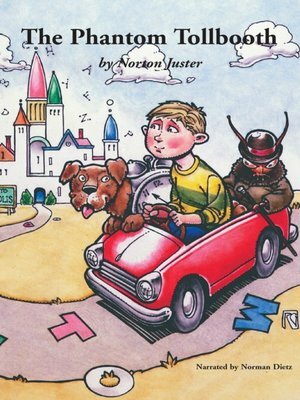 Because he has nothing better to do, Milo drives through the tollbooth and finds himself on the road to Dictionopolis, a kingdom where words reign supreme and no one makes much sense. Joined by a time-conscious watchdog named Tock, and a curmudgeonly, but loyal insect named Humbug, Milo encounters one bizarre creature after another, including a "witch" named Faintly Macabre and the dastardly Dischord and Dynne. As he sets out on a perilous mission to rescue Rhyme and Reason, Milo slowly discovers some of the wonderful things he's been missing.